Wedding day is a monumental occasion for a couple, family and friends, so obviously planning is paramount. Valerie Mahon explains the wedding planning process and shares some useful tips about destination weddings. A wedding planner becomes a couples' best advocate. A wedding planner becomes a couples' best advocate. In theory, this person should assist the couple with anything from picking out the venue to helping with picking the vendors. A wedding planner should also be knowledgeable with tips and trends so that they can help couples pick out color schemes that are right for them as well as trends in sand ceremonies, signage, etc. The hardest part about planning a wedding is deciding on a date and a venue. A year to 6 months out, make sure you lock in the venue and accommodations for yourself and your wedding party. You also need to ask your bridesmaids and groomsmen to block the date on their calendars. Now that you’ve selected a country, your wedding planner will have given you the legal requirements to marry so there aren’t surprises when you apply for a license. We will also make sure all the paperwork is properly prepared (we have a department dedicated only to marriage license procurement) for less stress on the client. After these important steps are met, the rest is picking out attire, food, décor and >entertainment – all the fun stuff! A great wedding planner will take your dream and make it a reality — without any stress on your part. Unless you have extensive knowledge of the location or family in the area, you need to hire a wedding planner for your local or destination wedding. There are too many pieces to the wedding planning puzzle, and it’s impossible for you to lock everything in during the few preliminary site visits you take – that is, if you even take any preliminary site visits in the first place. Either way, here’s the top criteria you need to look for before hiring someone on to plan your wedding. Make sure your planner understands your budget. Ask your planner about past experience with the venue/location. 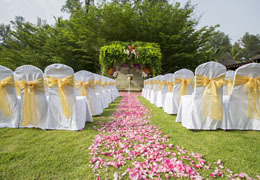 Ideally, you want to find a wedding planner who has a long history with your selected venue. If they know the hotel managers and staff, then they’ll understand their options. 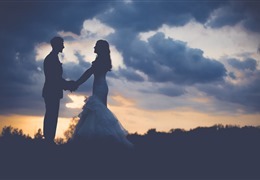 Your wedding planner might be able to negotiate a special package with additional perks to whatever the destination wedding venue typically offers. Make sure your wedding planner has a strong list of vendors for catering and music, and a deep knowledge of the area. After all, you’re hiring this person for their local expertise. Most importantly, you want a wedding planner who can execute your vision. A great wedding planner will take your dream and make it a reality — without any stress on your part. We suggest at least one year out for far away locations, however, everything depends on the size of wedding and location of where you hold the wedding. If you are having an intimate ceremony with only a few guests, you can plan these within 6 months generally. If you are having a large wedding and/or getting married at a location far away, difficult to get to, or with more strict marriage license requirements; you will want to leave yourself more time so as to give your guests plenty of time to save up, give yourself time to prepare, and/or get paperwork in order. We suggest at least one year out for far away locations, however, everything depends on the size of wedding and location of where you hold the wedding. How to plan a big wedding on a small budget? Nearly everyone is on a budget – every seasoned wedding planner should be prepared to help you where they can. As long as the couple is realistic about real-world costs, your wedding planner can help to stretch your dollars to make the most “bang for your buck”. If you’re looking for a simple way to minimize nearly all of your wedding expenses, the guest list is a great place to start. With a smaller guest list, you’ll need less of everything, from invitations to food. 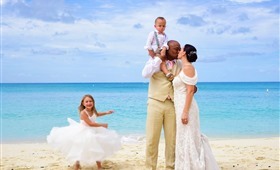 You can downgrade to a smaller wedding package by opting for an intimate family-only event instead of a large destination wedding with friends flying in from around the world. Another little-known way to cut the budget? Attire. Getting the perfect look is a careful combination of saving and spending. You can save on your dress by buying off the rack and even opting for a designer look-alike. While you want a dress that will stand up to the dining and dancing at your reception, do keep mind that it doesn’t have to last beyond this one night. Also, because your venue is so unique, choose a dress that enhances the beautiful scenery, not overwhelms it. It is most important to be comfortable. Cutting flowers and replacing with more simple décor like candles can also help slash costs. If you’re looking for a simple way to minimize nearly all of your wedding expenses, the guest list is a great place to start. Another little-known way to cut the budget? Attire. Cutting flowers and replacing with more simple décor like candles can also help slash costs. Some of the top tips for a destination wedding couple would be to have plenty of options for your guests who are traveling to your destination wedding. What are your best expert wedding planning tips? There are too many to include! 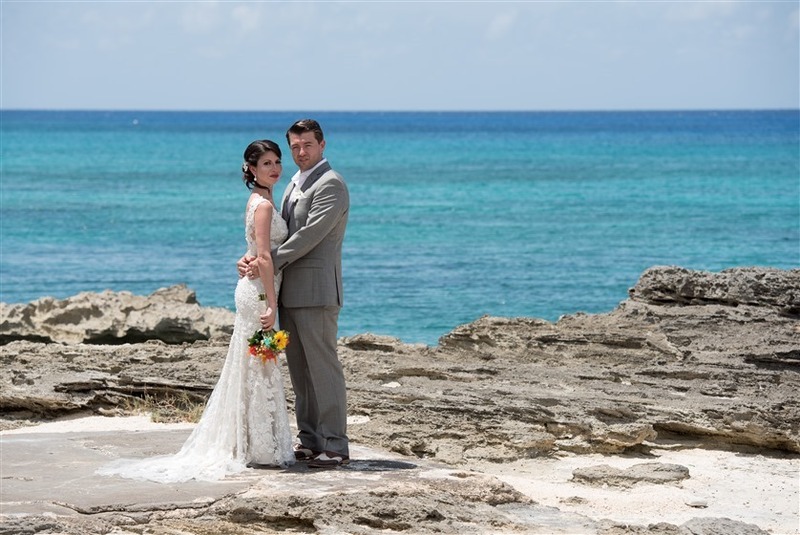 Some of the top tips for a destination wedding couple would be to have plenty of options for your guests who are traveling to your destination wedding. Survival packets, with items such as travel essentials, magazines, water, aspirin, travel booklets on your destination, etc. These can be given at the airport or delivered to hotel rooms. Personalized playing cards help with boredom and travel as well as serve as a keepsake. Your wedding planner should know the proper etiquette for destination weddings or local weddings depending on what you choose. Color schemes, theme trends, DIY trends, Do’s and Don’ts, how to personalize without breaking the bank and ways to make your guests comfortable are all things that a planner knows and what makes us strive to do the best for our clients. 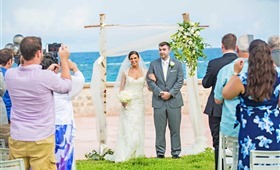 When planning a destination wedding another great tip is consider the climate at that time of year – it will affect color schemes, flowers, how you dress, etc. What are a wedding planner's duties during the actual wedding? During the wedding, a planners job is to make sure all the vendors are in order and set up, that there are no surprises (and if there are – the planner takes care of it so that there is less stress on the couple). The planner also makes sure all the vendors receive payments. The planner will also be in contact with the couple to make sure they get to where they need to be on time, whether it is for hair and make-up, photos, greeting guests, dancing, cake cutting, send off, etc. The couple can rest assured that all they have to do is show up and have a great time with their family and friends! As wedding planners, our job is to keep the couple happy and to reel them in and keep them focused on what’s important to them, makes their wedding special and personal, and most importantly keep it fun and not overwhelming. When it comes to planning everybody has an opinion. 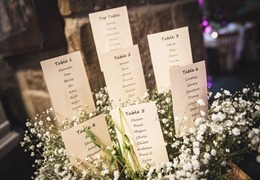 Oftentimes a couple can become overwhelmed with choices and may go off on tangents when it comes to décor, traditions, flowers, responsibilities, guest lists, etc. 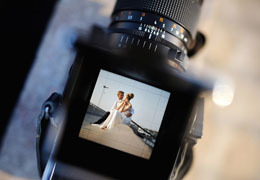 Sometimes the hardest part of our job is making sure the couples wants and needs correlate with their budgets. Also, getting married means combining two families and sometimes that gets confusing for couples trying to please too many people. As wedding planners, our job is to keep the couple happy and to reel them in and keep them focused on what’s important to them, makes their wedding special and personal, and most importantly keep it fun and not overwhelming. Learn more about Imagine Weddings & Events and see what they have to offer!